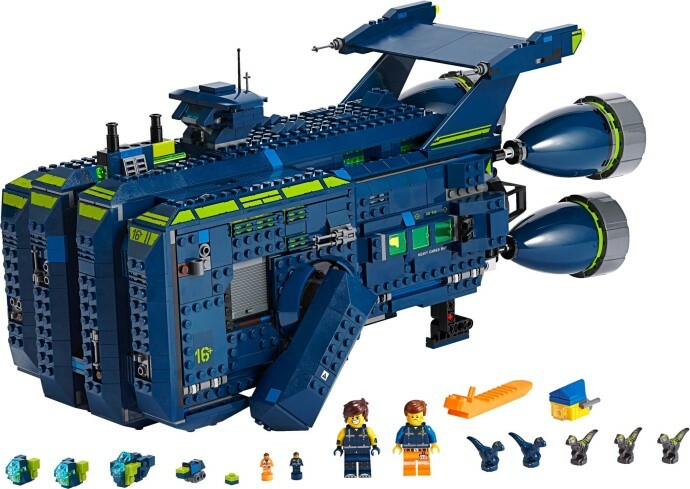 The Rexcelsior features a detailed microscale interior, as well as Stubble Trouble Emmet and Rex Dangervest Minifigures, Emmet and Rex LEGO Microfigures, five micro raptor toy dinosaur figures and five micro build models including Emmet’s house and a dropship. "featuring a rapid-fire, 6-missile spring-loaded shooter with shooting function and a trigger in the back"
Really not feeling many of these TLM2 sets, but that might change after seeing the thing. This isn't my favorite of TLM2 sets so far, but definitely interesting, the play functions on the box look kind of cute. I'm just about finished with Overwatch Wave 1, I'll post some pictures when I'm completely finished, I just have to do the scaffolding on Gibraltar. Overwatch could potentially be one of my favorite themes, but it's execution at least sofar doesn't feel quite where it should be. With the (rather big) exception of Mercy, the minifigures are really fun. 75974 Bastion and 75973 D.Va and Reinhardt are easy highlights for me. I think "over-sizing" the D.Va mech / Reinhardt suit but keeping the characters minifigure scale was a really spot on idea, it's nice that it creates a backdoor to include those mini's in a lineup with the rest even though those sets are out of scale with the game and the rest of the playsets otherwise. That all being said, I'm left a bit disappointed by the rest of the sets. 75970 Tracer vs Widowmaker is kind of in the middle for me, because at least the value proposition is a bit better, but 75971 Hanzo v Genji and 75972 Dorado Showdown don't do anything for me short of collecting the minifigures. 75975 Watchpoint Gibraltar seems like a waste of the price bracket. I like how it can be supplemented with 75970 but it's just too bad some of the best minifigures in the wave are trapped in that one. I do think the Peanut Butter and Banana inside the shuttle are super cute though, and the good news is, they're definitely getting my mind turning on how I'd like to improve them and add on to them. papluh I understand where you are coming from but no, he loves Lego and the biggest fan is always the biggest critic! He is a bit special, yes, but he is right with nearly everything he says. As tmarg mentioned, jang does this as well. And he does love Lego as much. Funny thing is, the other German guys seem to duck away cause they get promo sets every now and then - kinda lame. I'm really interested in if they decide to say something. TL;DR He tried to register his store logo with brick on it. LEGO was not allowed to trademark the brick after the patent expired. LEGO has all the right to fight anybody getting more recognition of the brick that they were allowed. He got his living selling and online reviewing/bashing LEGO, he was not stopped from doing that, just cancelled/lost the official contract with LEGO. Then he went to get PR from media crying how the 'big corp' are hitting on him, while he is telling just one side of the story. Well, at that time there was just one side of story and one should be cautious. It is easy to call them bribed. So unlike what was suggested in the dramatic original video, LEGO did not do claim on his 'old' logo and they did not 'ban' him outright as seller. He tried to make a recognized brand of his logo and LEGO responded to this official process with the lawyer letter to stop it. After no progress then he decided to revoke the registration submission, cancel his direct contract with LEGO, etc. Considering the he will still review/bash LEGO for online profits, he will still sell LEGO although received from other sources (free to choose and sometimes cheaper than distributor)... it is not much of a sacrifice. His whole profit is made on the shoulders of LEGO - selling it, reviewing it, criticizing it... Then he decides to bite the owner of the source of his incomes. Not sure what he expected. One could give him reason of doubt that he did not knew. But his actions afterwards - the one sided video, the push to get in state media, the blaming of the 'big corp', ... just show that it is not a 'poor uninformed guy' it is a businessman and (small) online celebrity in certain circles taking risks and failing. No remorse from my side. got a brand new unopened Saturn V for $80 on craigslist. good deal? $9 at my Wal Mart. wow. that's a good stash of pieces. what you gonna build with it? No clue. I grabbed two of 'em lol. Several sets were 50% off. Nothing too bad. $45 down to $17, and a few others like that. I just didn't have enough to spend today. I'll prolly go back next week and see what's left. Got tickets to early showing of Lego Movie 2! There's seems to be a free set to go with it too. Is this wide or exclusive to that specific chain? Not sure if it is wide, this email was from Cinemark. Apocalypseburg is the best set LEGO has released in the last five years. There are no words that can do it justice. Any suggestions for reasonable display cabinets for the UCS stuff. Have Tie, Red 5, Snowspeeder already built and would love to get them under some cover. Have Slave 1 to build and eventually the Y wing once I buy it. I see many people using cube storage solutions. They won’t completely keep them dust free but it’s better than nothing. I too am seeing TLM2 today. Haha! I read that to my son and he laughed and ran into the other room. Lego Movie 2 was great! Some hilarious gags, and the ending credits sequence was a masterpiece. My kid loves pigs, but I don't need anything right now. Anyone picking up a set that might want to sell the Year of the Pig bonus? Can I be added to the Discord? I've asked a few times and have seemingly been ignored, lol. Hmm that's weird. I was kind of thinking the Piece Offering was gonna be Target's almost exclusive until I saw it in Walmart the other day. Only few sets have pictures, some were shown and can be described and some should not. But as Technic fan I can say there is one big, huge ... brutal reveal. One to dig out a lot of money. Actually we got a Technic set that is 3rd most expensive set ever. The 42082: Rough Terrain Crane of last year lost its crown quite soon. Then there is the rest, like the first five sets for the 20th LEGO SW anniversary. curious about donut shop opening. larger cousin to that small target exclusive set? also "creator set- town house and pet store" sure does sound an awwwwful lot like a smaller reimagining of Pet Shop the modular. maybe next year they'll do a suspiciously familiar city hall set.... then i could buy 2 of them and make a version of the modular building, which I missed. 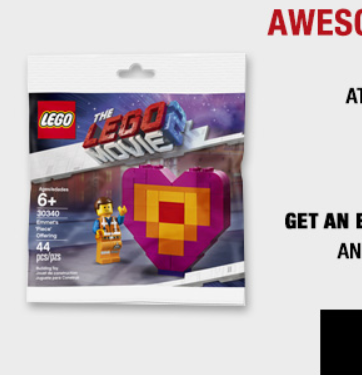 Directly linking from LEGO site, kind of early reveal. Let's see if it will be gone in 60 seconds, minutes, hours.... or not. 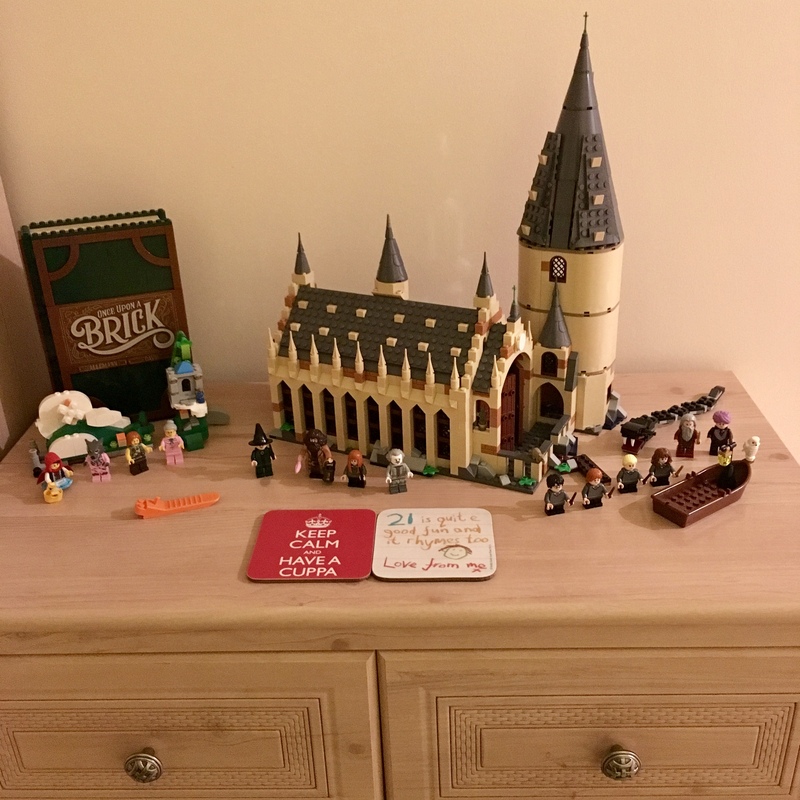 I finally finished building the Pop-Up Book and Hogwarts Great Hall this past week! Nice lines. That sort of 70s/80s car body style really suits Lego. That’s a super-chunky looking thing. What is your idd acronym for? After seeing LM2, ranking from best to worst: LM, LM2, Ninjago, Batman. Did anyone end up getting these? They were obviously going to be very popular, should have made more. The Dragon Dance is a great display piece with a cool dancing motion. The dragon has some nice use of parts in unusual ways for decoration. The motion is a bit stiff though, but I don’t really mind. New Years Dinner is a beautiful vignette with great figs. The building is very straightforward but for the windows (and even that isn’t a technique you wouldn’t have encountered yet if you build Ninjago City (or Docks) ). It has amazing prints though, and it’s pretty accurate in is depiction of New Years celebrations in China (according to my Chinese sister-in-law). The kids get red enveloppes by the great grandparents for instance, and the wishes hanging from the door are upside down like is tradition. I got the dinner set as a gift for my SO. We're going to make custom family photo stickers to include. Just saw some Lego Minifigs for Lego Movie 2 (collection 20) weirdly enough they were marked as collection 20 however the set prior was collection 23 Harry Potter. Is there some reasoning to this ? My son pointed them out and I thought they were old but sure enough Rex was in it so they cant be old..
20 and 23 are the amount of figs in each respective series. The series tied to movies/IP’s aren’t numbered. The oficial numbered CMF series are at 18, but there have been over 25 in total now. Cool, I live in Malaysia and these were pretty impossible to get, there was a listing on a couple of lego online stores but they were always out of stock. Wouldn’t surprise me if they just put them up on eBay (or it’s equivalent here). I hope you guys enjoy them. Really liked all three designs, (boat race seems to be missing?). But when they’re this hard to get I don’t mind missing out all that much. Yeah, you had to preorder to get a chance I think. My brother even had an order cancelled because stock was insufficent (thhis was about 2 to 3 weeks before they would release). Luckily he noticed Toys R Us didn’t have them up on the website yet and he kept checking everyday until they popped up a week or so before release. That preorder came trough. Maybe they’ll do a second print. Might be worth it to keep checking with your local toy chains. Also, the boat race still needs to be releases, so you might still get an order in for that one. I see. Well I didn’t even think of preordering as the online stores didn’t say anything about that. Guess maybe next year they’ll do a much bigger second print as CNY is tomorrow.